Virtual Cloud Solutions, a division of Federal Companies, provides many businesses with data backup services to ensure their client information is secure and accessible when necessary. 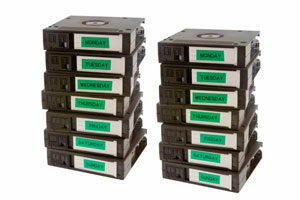 We offer businesses space and technology necessary for data backup at competitive pricing. We store companies’ data for them, letting our customers focus on their core business and not storing their data. Our facilities are fully secured, immaculately clean and conveniently located in many markets to best serve our clients. We also offer remote backup services for businesses that want to have data security in any event. Store your data in the most secure manner possible with Virtual Cloud Solutions. You benefit from 24/7 online access to your data while it’s stored in our facilities. We provide safer, money-saving, and reliable data backup services. Many companies around Greater Chicago entrust their critical data backup to Virtual Cloud Solutions. We utilize the latest state-of-the-art data backup technologies so you can rest assured your important data is maintained and protected. Federal Companies’ goal is “To Be Customer Valuable” for every data backup storage need. At Virtual Cloud Solutions, we are your one-stop provider of full-service data storage solutions. Contact us today to find out how we can provide you with a data backup solution within our state-of-the-art facilities.